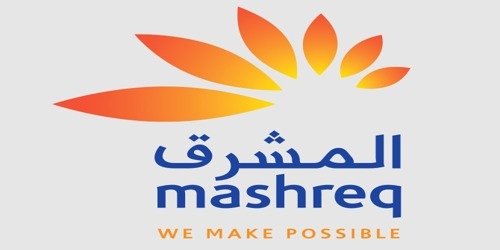 It is a broadly described annual report of Mashreq Bank in the year of 2013. During the financial year, Total Assets of the Bank stood at AED 76.4 Billion in 2012 to AED 89.7 Billion in 2013, a growth of 17.4%. Deposits and Advances at the bank led to an increase in Total Assets from AED 76.4 Billion in 2012 to AED 89.7 Billion in 2013, a growth of 17.4%. A growth of 18.4% in the Bank’s Operating Income which went up from AED 4.1 Billion in 2012 to AED 4.8 Billion in 2013. Total Income ratio declined marginally from 51.5% in 2012 to 49.5% in 2013. The bank to post a Net Profit of AED 1.806 Billion in 2013, an outstanding growth of 38% over AED 1.312 Billion achieved in 2012. As of 31st December 2013, 169,076,975 ordinary shares of AED 10/- each (31st December 2012: 169,076,975 ordinary shares of AED 10/- each) were fully issued and paid-up. The Board of Directors of the Bank was pleased to recommend a cash dividend of @40% of paid-up capital. This cash dividend will constitute only @37% of the profit for 2013.